Public Lab works to "level the data playing field,” making it possible for people to issue rigorously collected, high-quality, local environmental datasets for use alongside government data for verification and advocacy. We do this by building curriculum, hardware, and software; providing space for research and development; and bringing tools to maturity, making them field ready. The Kits Initiative is part of this effort. The Kits Initiative creates, assembles, and distributes kits from the open research designs of the Public Lab community to foster and develop the reach of open, accessible science, by placing tools in the hands of those that need them. The main goal of the program is to support the scaling up of development and production of kits to enable thousands more people to produce their own environmental data and continue to shape these technologies. Schools, teachers, and institutions can contact kits@publiclab.org for details on reduced shipping costs and bulk orders. Our Community Kits program is designed to support the creation of new tools, kits and resources by inviting designers, developers, researchers, tinkerers, community organizers, inventors (and anyone else who is interested) to consider working with the Public Lab Kits Initiative to develop, produce and distribute your open source research tools! Over the next few months we'll be working with a handful of people to source new affordable, DIY, open source environmental monitoring kits in our store: expanding resources and opportunities to help people get involved with community science. We have built the infrastructure to help connect environmental research kits to communities who need them, and we'd love to partner with you to help put tools in the hands of even more people. Working through the open process allows for helpful feedback, quick design iteration, and sharing of ideas. Additionally, incubating with us provides access to the Public Lab brand, customer base, and production/distribution infrastructure. Public Lab Kits Initiative staff provide necessary support for kit distribution, including promotion of the tool in our online store, organizing payments, and shipping. Through our hosting program, we seek to help develop new and novel kits, guides, and curriculum to engage over 10,000 participants in production of their own civic data. In doing so, we seek to add to a growing catalog of innovative tools, with an ever-broadening reach and accessibility. We're increasingly sending out packs of materials and supplies for prototyping, to help support the development of new techniques for monitoring environmental problems. 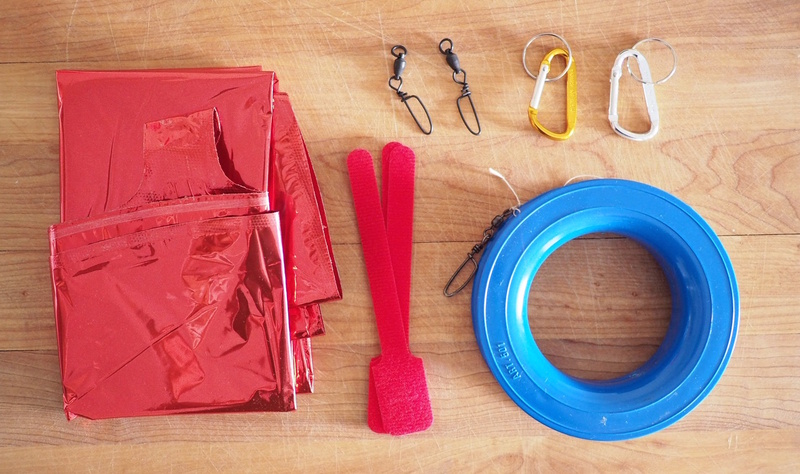 We call these Prototyping Kits and they come with a list of challenges and problems to solve. Since 2012 Public Lab has been developing low cost, open source and user-modifiable kits. By providing low cost accessible kits to the public, we seek to support a growing number of communities in creating a collaborative network of practitioners generating knowledge and data about environmental health. Since 2013 Public Lab kits have been shipped to over 71 different countries and connected thousands of community members. The Public Lab Kits Initiative is a part of the Public Lab Nonprofit which distributes open hardware kits to support the Public Lab community. The Kits Initiative is based out of Public Lab's Providence, Rhode Island office. Through our hosting program, we seek to help develop new and novel kits, guides, and curriculum to engage over 10,000 participants in production of their own civic data. In doing so, we seek to add to a growing catalog of innovative tools, with an ever-broadening reach and accessibility. **** ## General Kits Questions About sourcing, troubleshooting, etc!